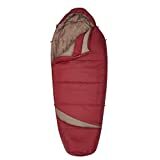 A good winter sleeping bag is absolutely essential for any camper or hiker who is planning on sleeping out in winter, but if you plan on camping in freezing conditions you need the very best 0 degree sleeping bag. No other bag will be able to withstand the weather and keep you warm all through the night. 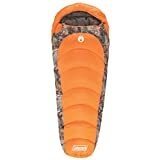 A multi-season sleeping bag just won’t do when you are in sub-zero conditions, they aren’t thick enough and they don’t have strong enough heat retention. This list contains the best 0 degree bags, ones that will never disappoint when you bed down at night. This extreme weather sleeping bag from Browning Camping is designed to withstand the harshest conditions the outdoors can throw at you. It will keep you warm no matter how cold it is, and protect you from rain and snow. The bag itself has an outer shell made of highly durable 210T Nylon Diamond ripstop fabric, which is paired with a brushed polyester liner. The bag is filled with 7 denier TechLoft Silver insulation, which will keep you warm and cozy all through the night. 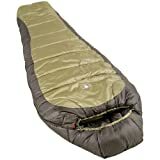 The Ledge Sports Featherlite Sleeping Bag is designed and built for weight and size restrictions. Even though it is compact, it does not sacrifice on durability or warmth, and will still protect you from harsh winters and climates. The bag has a Diamond Dobby 250T Ripstop shell, a SoftTech II 210T Liner, and heavy duty YKK Zippers that won’t fail you when you need them most. The bag also has Hibernate Extreme, Micro Denier continuous filament fiberfill. 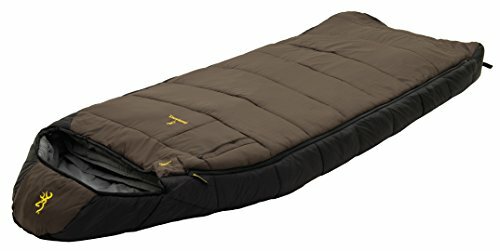 The Teton Sports Fahrenheit Mammoth Sleeping Bag is a massive bag designed for maximum comfort and warmth. 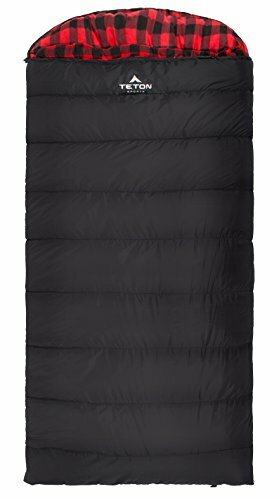 The sleeping bag itself is longer and wider than a queen mattress, giving you ample room for comfort even when sharing. One of the unique aspects of Teton bags is that you do need to roll them up, you can simply stuff it into the compression sack. The SuperLoft Elite Fiber Fill combined with a double-layer construction ensures no cold spots and warmth all through the coldest nights. Another bag from Teton Sports, the Sports Celsius Regular is the single version bag that gives an individual maximum warmth and comfort. The soft flannel lining, and the half-moon mummy style hood keeps your pillow clean and your whole body warm. The bag itself has a SuperLoft Elite Fiber fill loft, a double-layer construction and zipper and shoulder draft tubes. These all combine to keep you warm and prevent and cold drafts from entering the tent. 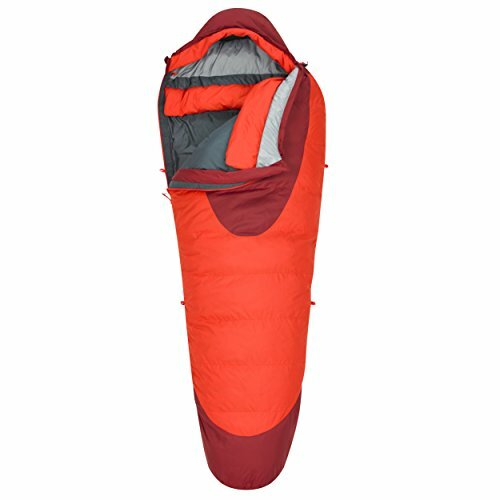 The Sports Celsius XXL from Teton is the larger and roomier version of the Sports Celsius we reviewed above. The bag is made with the same soft flannel lining and mummy style hood to keep you warm, as well as having extra space for comfort or storage. This bag also does not need to be rolled, allowing you to simply stuff it into the compression bag and store with ease. The tear-resistant taffeta shell is highly weather-resistant and durable and can withstand years of use. This 0-degree sleeping bag from CrossRobbin is made with a 270GSM canvas exterior which shields you against the cold and weather and is resilient against tears, rips, scratches, and moisture. The inside of the bag has an extremely comfortable 125GSM flannel inner liner, which is very soft to the touch and makes you feel like you are in bed at home. Zips on the side allow you to zip two together, and the ample size is big enough for everyone. This bag from Teton Sports is designed to be ultralight and ultra-warm. The bag is made with body mapping technology, which means it is designed to have extra insulation where you need it most, such as your feet. The head area of the bag is designed with a three-piece hood that is designed to contour your face and keep it completely warm and protected. The bag has a Diamond Ripstop shell which is not only water-resistant but won’t puncture or tear. 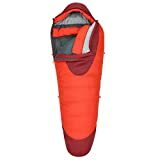 Kelty is one of the leaders in outdoor gear and clothing, and the Ex 0 ThermaPro Sleeping Bag is another example of the quality the brand is known for. Designed to keep you comfortable at 0 degrees, it will take a lot for this bag to let you down. The bag itself is a mummy design, but i is oversized, giving you that extra protection a mummy design is known for, but the extra space keeps you comfortable all night. The bag has ThermaPro insulation but keeps you incredibly warm, but the bag is still compact enough to travel anywhere. The Cosmic 0-degree sleeping bag from Kelty is designed to stay dry, even in the wettest conditions. The bag has 550-fill DriDown which offers supper water-resistance and loft, with an extremely durable outer shell to protect you. The DriDown Fill has been treated to create a hydrophobic finish on each down plume. This treatment allows you to stay drier for longer, gives the bag much better loft, and also dries out a lot quicker compared to regular down. 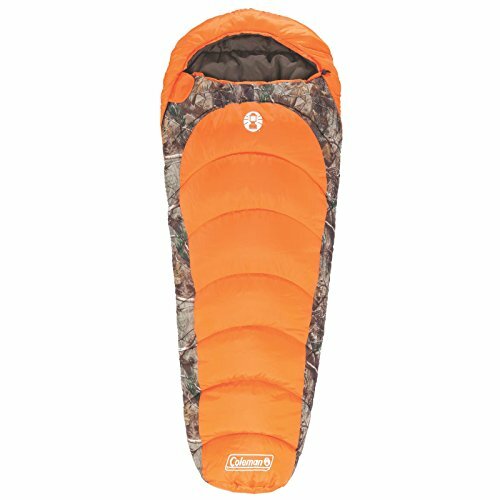 The Coleman Realtree 0-Degree sleeping bag is the bag you need if you are a fan of luxury combined with versatility and durability. The mummy style design ensures your entire body stays warm and protected all through the night. 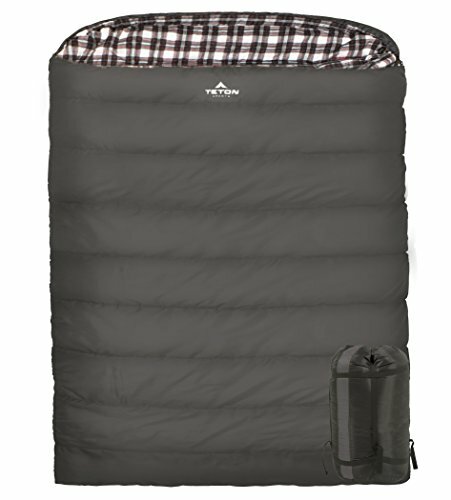 The bag is constructed with lightweight Coletherm hollow polyester insulation, which keeps you warm from top to bottom all through the night. The bag has a Thermalock draft tube to prevent any cold air from entering through the zipper. The Coleman North Rim Mummy Sleeping Bag is probably the most popular 0-degree bag on our list. This mummy style bag is designed to protect your body from head to toe against the cold, ensuring you stay warm no matter what. The bag has a semi-sculpted hood with a drawstring to seal in heat. The bag itself has a quilted design, an insulated footbox and a Thermolock draft tube for maximum warmth and heat retention. There are a number of important factors that need to be taken into consideration before you purchase a bag. Warmth is of the utmost importance, it will be the difference between sleeping comfortably and freezing all through the night. The warmth of a sleeping bag is determined by the volume or loft of the fill, as well as the cut and shape of the bag. A bag with more loft will keep you warmer as there will be more insulated air between you and the bag. This insulated space will then allow you to create your very own microclimate using your own body heat. The cut and the fit of the bag will then determine how much of this space is available. Having extra space in your bag can be useful if you need to keep some gear warm at night, such as bottles, extra clothing or food. This extra space also then allows you to wear any extra layers of clothing while you sleep. Remember though, if there is too much uninsulated space in or on your bag, the bag will take a lot longer to warm up, if it warms up at all. The bag will be less thermally efficient, and you will notice more drafts coming through the draft collar. If you are an avid hiker and or camper, the weight of all your gear is always in the back of your mind. You want to keep your total pack weight as light as possible, but not sacrifice on comfort and warmth when it comes to your sleeping bag and clothing. The weight of a sleeping bag is determined by the combination of its fill and the outer shell materials. A bag with high-quality down (800 or more) is very capable of achieving a very low-temperature rating at a lower weight. There are also bags available that have high-tech outer shells that offer extreme durability and weather resistance, but keep their weight down significantly. Always keep in mind that these ultra-lightweight and high-tech options are usually more expensive. Comfort is a fairly subjective consideration when it comes to bags as there is certain materials you would prefer and a certain size of bag that would fit your height or how much space you want while you sleep. A wider sleeping bag will usually be more comfortable for almost everybody as there are few people who sleep exclusively on their back through the night. These bags are also better for extended trips as sleeping in one position will inevitably cause body ache. Obviously, for a wider sleeping bag with more space to move, it needs more fabric, fill and insulation. This adds weight and will make the bag bigger, but once again, if you are willing to spend more on a high-tech bag, you can keep the weight and size down and have a bigger bag. This is another important factor if you are going to be hiking in one backpack. The size of the bag, once it is completely rolled up, is vital when you are going to be traveling with many other pieces of essential gear. Every sleeping bag will come in a compression sack, this will save you space right off the bat. Don’t think that the fact that the bag is in one of these sacks will save you effort and space, cause many times it will still be very heavy. This is where more testing would be needed on your part. Don’t just check the weight of the bag unrolled, put it in the compression sack and in your fully loaded pack, it is the best way to see if it will suit your weight needs or not. Considering that camping anywhere that requires a 0-degree bag will have many more weather conditions other than being very cold, you will need a bag and compression sack that will be able to resistant harsh conditions, whether it be rain or snow. Weather resistance will be determined by the outer shell materials the bag uses. Some manufacturers claim to use down that resistants water better and dry out quicker, this isn’t the case, as the outer shell more often than not stops the down from getting wet in the first place. Most bags nowadays have an outer shell that is treated to resist water, snow, and condensation. Even though these coatings are very common, it is still essential to be 100% sure that the bag you are purchasing has been treated. Features can be important, but they are also subjective. Some people just want a bag that does its job, no frills and no fuss, while others may want a ventilation system or something simple such as snag-free zippers. Some features will add to the price of the bag, but small ones like snag free zips and the like won’t add much if anything to the price. These features aren’t all necessary, they just make the bag a bit more versatile or user-friendly. 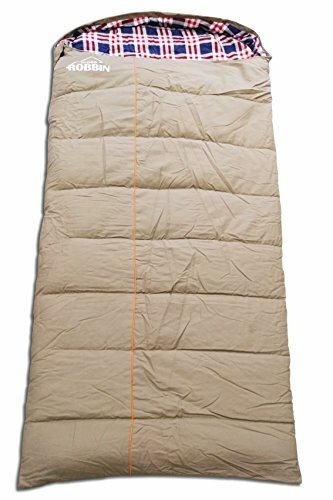 Every sleeping bag will come with either a stuff sack, a compression sack, or both. These are clearly essential in transporting the bag, and we suggest getting a bag that has both. Compression sacks, in particular, make storage a dream. Some of the bags come with compression straps as well, allowing you to shrink your bag even more. These compression straps and bags are great when you take a sleeping pad too, as you can compress that in the same bag as your sleeping bag. Buying the correct bag when sleeping in sub-zero conditions is absolutely essential. You can not underestimate the weather, and your 3 seasons or summer sleeping bag will just not cut it when you are out in the freezing cold wilderness. We hope this guide has given you some insight and direction in your journey to find the perfect cold weather sleeping bag. Whether it is your first time buying bag, or you’re a seasoned pro, this guide has hopefully given you some info you didn’t have before.